Three-ply core which utilizes a 3mm oak top face over a pine core. 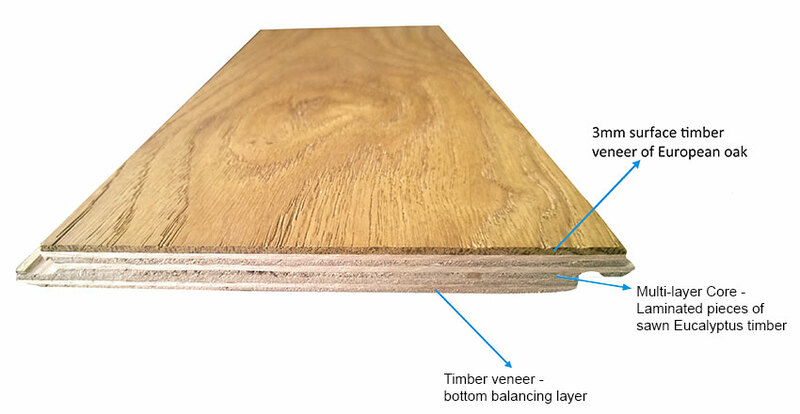 FINOAK uses only 2 – 3mm of oak thereby substantially reducing the environmental impact by using less of the precious wood than solid hardwood options. FINfloor was established in 1996 and is a premium flooring importer that has been importing its laminate flooring from the same reputable factories ever since. With a proven track record for supplying quality flooring we have grown our ranges and diversified our product offering to include solid wood and vinyl flooring.